Mirror! Mirror! On the wall, who is most beautiful in the world? Certainly, the mirror will not show you a guy or lady with bald or thinning or frizzy hair. Therefore, hair contributes a lot to make an attractive outward appearance. Interestingly, whether you are a lady or guy, you do not need to use expensive hair growth products or go through complex hair treatments to grow hair faster. All you need to do is to use some useful natural elements that can keep your hair healthy and make your hair grow faster naturally in a cost-effective way. In this article, we are going to focus on some of the best natural oil for hair growth. You may be surprised that some common oils that are frequently used in the kitchen for cooking food or beauty care purpose, can treat hair more effectively than any other chemical-based hair growth products. 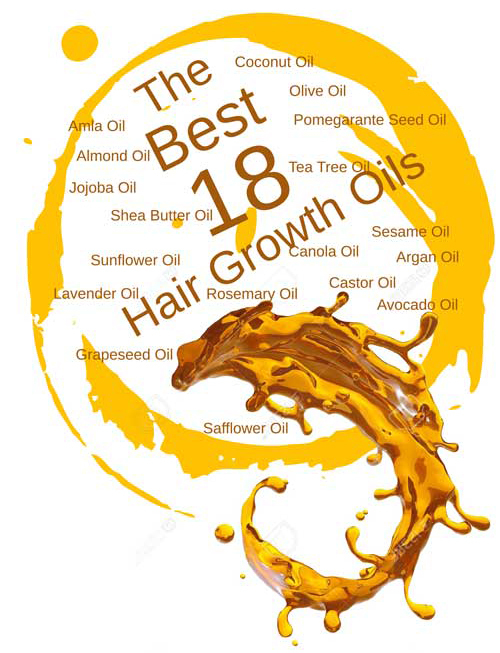 This article focuses on the benefits of the best 18 hair growth oils extracted from nature. Hair is a protein composition. Therefore, it needs protein to be healthy and grow hair faster. Coconut oil includes fatty acids that protect the natural layers of protein on hair-shaft and hair-roots. Thus, coconut hair oil serves as a protein-shield that prevents hair breakage and hair damage due to lack of protein. Moreover, the Lauric acid of coconut hair oil improves the health of hair from the core. Healthy hair is the precondition of faster hair growth. Therefore, you should consider the magical benefits of the fatty acid enriched coconut oil for hair growth. The scalp becomes dry due to hygral fatigue or excess water absorption. Coconut hair oil penetrates hair-shaft and serves like a hair-moisture shield. Moreover, the coconut hair growth oil protects hair from excess heat and environmental impurities, which prevents hair-damage and hair fall-related issues. Therefore, it can be said that coconut oil hair loss prevention is beyond doubt. Coconut hair oil is a purely natural source of hair vitamins, antioxidants and nutrients, like, vitamin E, Iron, vitamin K, iron, etc. Regular use of coconut oil supply nutrients on hair-shafts and strands, which makes the hair lustrous and delays the hair-aging process. This prevents hair from splitting and grows hair faster. Hair damage causes by swelling & shrinking of hair-fibers. Coconut hair oil stimulates the hair follicles, rebuilds hair fibers and improves hair cuticle. 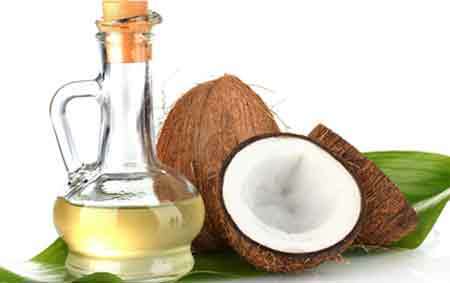 Thus, Coconut hair growth oil recovers hair-damage makes the scalp healthy and grow hair faster. Naturally, the hair-shaft bears the shape of a hollow tube. Coconut oil fills up this space makes the hair look denser, glossy and lively. For this reason, many people prefer coconut oil for hair growth. Numerous brands sell coconut hair treatment oils. If you prefer odor-less and less-greasy hair oil, then try Majestic Pure’s Fractionated coconut oil. It works great for both hair and skin care. Adding to these, Majestic Pure Coconut Oil is a great carrier oil that can easily dilute the other essential oils. The natural composition of Avocado oil mainly includes monounsaturated oleic fatty acid along with some saturated fatty acids. These elements nourish the hair fibers by penetrating the hair cuticles. Moreover, the monounsaturated hair-fibers retain moisture in the hair cuticles that prevents hair problems and grow hair faster. Avocado hair oil also includes omega-3 fatty acids that protect hair from the UV rays. Avocado hair growth oil is a rich source of natural vitamin E. Hair vitamin E makes the hair healthy and prevents split end. Moreover, the antioxidants of hair vitamin E prevent dandruff and reduce hair fall. The combination of fatty acids, antioxidants, and phytosterols in the Avocado hair oil unclog the blocked hair follicles and stimulate faster hair growth. Over styling, excess heat, environmental pollution, etc. can make the hair weak and unhealthy. Avocado hair oil revives the dry, frizzy and damaged hair. The scalp can absorb avocado hair oil easily, as Avocado oil is light. For this property, the Avocado hair growth oil serves as a base, while it is mixed up with other hair oils to create a cost-effective home remedy to grow hair faster. 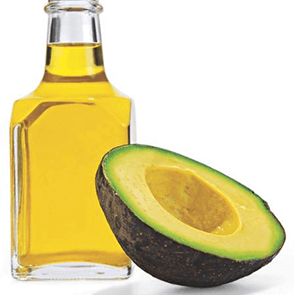 Avocado hair oils are available on the market under very affordable price-tags. If you are suffering from frizzy hair with dry ends, try the Organic Avocado Oil produced by Renewalize. This USDA certified hair oil is blessed with a bunch of essential vitamins and fatty acids. What is more? This cold-pressed Avocado oil can moisturize your dry skin. Grape seed hair growth oil is a rich moisturizer and conditioner for the dry hair. This hair oil can retain moisture to the hair and prevent hair issues, like frizzing, split ends, and brittleness. These, in turn, contribute growing hair faster. Dry and flaky conditions of the scalp often result in Dandruff, dermatological conditions, like Dermatitis, etc. The grape seed hair oil has a high concentration of linoleic acid that can alleviate the dryness of the scalp and make the scalp healthy. Grape seed hair oil does not make the hair feel greasy. Moreover, it is odorless. Therefore, you can use this hair oil regularly to get shiny and healthy hair. Grape seed hair growth oil is lighter other hair oils, like, olive oil, coconut oil, etc. When this hair oil is applied on the scalp, the cells are loosened and the blood circulation is accelerated. These stimulate the hair follicles and grow hair faster in a natural way. Grape seed hair oil is rich in antioxidants. This property lessens the creation of DHT hormone. It is responsible for hair loss. In hair treatments, multiple hair oils are used to stimulate faster hair growth. In such mixtures, the Grapeseed oil can serve as a base for its lighter nature. Grape seed oil prevents the hair loss by lowering the level of cortisol hormone that is released when a person undergoes stress. Therefore, this hair oil serves as a natural cure for depression causing hair loss. Naturally, the Grapeseed hair growth oil is enriched with linoleic acid, antioxidant Vitamin E, omega-6 fatty acid, etc. A combination of all these emollients and nutrient elements can effectively repair the damaged tissues of the scalp and grow hair faster by soothing the hair follicles. The famous brand NakedOil has brought undiluted, 100 percent pure, cool-pressed Grapeseed oil. It offers multi-dimensional use. 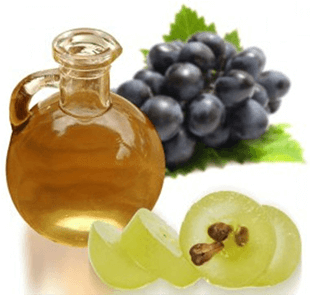 This Virgin Grapeseed Oil can moisturize your dry scalp and remove dandruff. It makes the hair strong and shiny. Furthermore, it tightens skin and aids acne. This hypoallergenic oil is enriched with anti-oxidants and essential fatty acids. So, you can use it for cooking. 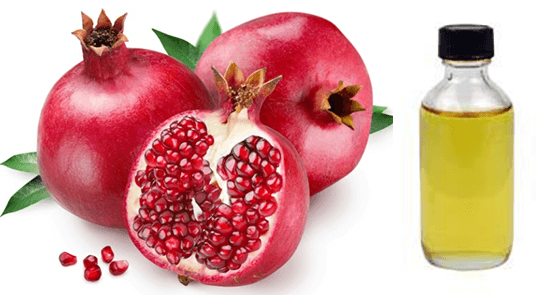 Pomegranate seed oil is a rare organic source of the conjugated fatty acids. Especially, this hair growth oil is rich in Punicic acid that revitalizes and strengthens the hair-root and makes the hair tresses strong, dense and lustrous. Pomegranate seed oil bears a high concentration of antioxidants and hair vitamins, especially Vitamin-C. These elements nourish the hair-roots that improve the blood circulation system of the scalp and strengthens the blood vessels. These actions stimulate the hair follicles and grow hair faster. It serves as hair serum before applying heating tools on hair. Pomegranate seed hair oil protects the hair from the environmental impurities and protects the scalp from bacterial infection through its antipruritic properties. This hair growth oil also heals the itchy, flaky, red and inflamed scalp. A healthy scalp can check hair problems like dryness, dandruff, dullness, hair thinning, hair fall, etc. Pomegranate seed oil can balance the level of pH of the scalp that contributes to reducing hair greasiness and stimulate the hair follicles. This, in turn, leads to faster hair growth. Pomegranate seed oil has a magical power to bring the dull, brittle and dry hair back to life. This hair oil is a natural moisturizer that hydrates the hair-follicles properly. This hair growth oil also serves as a great natural conditioner that soothes the frizziness of curly hair and helps the hair to untangle easily. These actions contribute is faster hair growth. The attack of dandruff makes flaky scalp that clogs the hair follicles and hinders the regular growth of hair. Pomegranate seed hair oil can remove these clogs and repair the scalp tissues that stimulate hair growth. While researching Pomegranates Seed Oil products that are currently available on the market, Eve Hansen‘s Pomegranate Oil truly amazed us. It’s magical effect would make your hair shiny. It can improve your scalp skin by removing dandruff. Moreover, this oil can be used for aiding skin problems, like eczema, wrinkles, psoriasis, etc. Tea tree hair oil contains antiseptic, antifungal, anti-infection, antibacterial and antiviral properties naturally that protects the scalp from viral/fungal/bacterial infections. Using this hair growth oil, you can avoid stubborn Dandruff, lice, psoriasis, cradle-cap in babies and other hair problems. Many dermatologists, as well as hairdressers, suggest Tea tree oil hair treatment; as the best alternative to the chemical-based hair care products for its non-toxic profile, which is rare among the most popular hair oils. This medicinal hair growth oil nourishes and moisturizes both scalp and hair. Thus, it prevents the flakiness, dryness, and itchiness of the scalp and boosts up the hair-immune system to check the viral and bacterial infections causing hair loss and baldness. Moreover, it reduces split ends and helps to grow hair faster. The harsh chemicals in artificial hair products block the hair-pores. In many cases, these blocked pores harbor microorganisms that hinder hair growth and promote dandruff. The tea tree hair oil unclogs the hair follicles and removes the dead-cells from hair-pores. These attributes prevent scalp irritants. Thus, it keeps the scalp healthy and helps to grow hair faster. Tea Tree oil hair and scalp massage can stimulate blood circulation and mollify the inflamed hair follicles, which stimulates the hair growth in turn. Some male hormones are responsible for excessive hair loss in males. Tea tree oil contains anti-androgenic effects that reduce the impact of those male-hormones. Diverse companies produce Tea Tree Oils for hair and skin treatment. After researching dozens of products, we picked Eve Hansen’s Organic Tea Tree Oil. This product is certified by USDA. This Tea Tree Hair Oil can improve your scalp health, and heal the flaky scalp-skin. It would remove lice and dandruff. Additionally, Tea Tree Oil’s anti-fungal and anti-bacterial property can heal your skin and nail issues, like acne. A healthy scalp is essential to maximize hair growth. Shea butter hair oil can heal the dry, irritated and flaky scalps by its critical moisture and anti-inflammatory properties. Shea nut hair oil retains moisture in the individual hair-strands that reduce the possibilities of hair damage, dryness, and breakage. This hair growth oil can revive the hair damaged by hair dye/color, chemicals, and heat-treatment. This hair oil is a great blessing for the people with curly hair types. The bends/coils of type-4 hair push down the natural layer of sebum oil through the hair-shafts in the scalp. Shea butter hair oil mollifies the curls and locks moisture to the hair. This hair growth oil keeps the curls healthy and ensures faster growth of curls. Shea butter hair growth oil serves as a great natural hair conditioner. It is called “mother natures conditioner” for its amazing moisturizing properties that can easily soften the brittle hair. It moisturizes the hair-roots from down to the ends. Therefore, this hair oil can handle the dried and fragile curls, especially, type 4C hair. Shield butter hair oil includes adequate SPF that protects the hair from being damaged by the ultraviolet rays (UV) of the direct sun. You can pick a standard Shea Nut oil produced by any reputed brand. We have picked Now Food’s Shea Nut oil for it’s superb quality and affordable price-tag. This Now Solutions Shea Nut Oil is enriched with several essential fatty acids, including oleic, stearic, etc. The natural Amla hair oil contains a group of essential and hair-friendly fatty acids. These elements help to strengthen the hair roots and follicles that in turn grow hair faster. Besides fatty acids, the Amla hair oil is a great natural source of protein, antioxidants, Polyphenols, Flavonoids, carbohydrates, water, minerals, and hair vitamins, especially vitamin C. Interestingly, this hair growth oil supplies 20 times more vitamin-C compared to an orange. Therefore, benefits of Amla on hair is beyond question. This Amla oil includes an amazing power to bind the nutrients, like Copper and Iron to the hair. This attribute improves the hair healthy and grows hair faster. Amla hair growth oil also nourishes the hair shaft, adding strength and sheen, and cleanses the scalp to prevent dandruff, providing a perfect environment for long and healthy hair. Amla hair oil can treat the dry and itchy scalp. It can penetrate into the scalp and heal the irritation. And healthy scalp is the first requisite to grow hair faster. Amla hair oil offers marvelous rejuvenating properties that can treat hair loss and other problems related to hair and scalp. If you wanna stop premature hair graying process, try Vadik Herb’s Brahmi Amla Hair Oil. It’s therapeutic power strengthens hair-roots and helps to retain your natural hair color. This Amla Oil is a gift for the people with beards, as it prevents itchiness and dandruff in beards. DTH hormone causes hair loss by damaging the hair follicle and makes the hair shafts narrow. The Olive hair oil thwarts the secretion of this DTH Hormones in the scalp and reduces hair fall and helps to grow hair faster in a natural way. Olive oil is a rich source of antioxidants, hair vitamins, including the vitamin-A and vitamin-E. These elements keep the scalp-skin healthy and nourished. This hair growth oil can also heal the damage on the scalp-tissues caused by chemical-based hair treatment or over hair-styling. This Sebum oil is secreted from the Sebum gland naturally to keep the hair-follicles active and grow hair faster. However, the excessive secretion of sebum oil clogs down the hair-follicles and hinders the natural growth of hair. 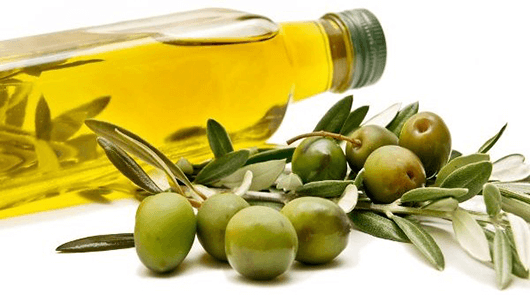 The olive oil impedes excessive Sebum oil production in the scalp. Olive oil is a great natural hair conditioner that makes the hair look shiny, denser and soft. This hair growth oil can substitute the impact of extra silicone ingredients applied in the chemical-based conditioners that make the hair soft for a limited period. Therefore, you can prefer Olive oil hair treatments to the expensive chemical-based hair products/conditioners. 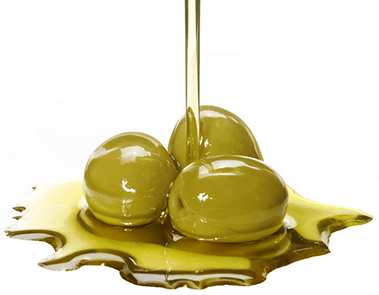 Olive oil prevents the attack of fungi, head lice, Bacteria, Dandruff, and other hair issues that cause hair loss. Olive oil hair and scalp massage can promote blood circulation in the scalp. This hair growth oil stimulates the hair-follicles and produces thicker strands. Dry, undernourished and brittle hair is unfavorable for styling. The olive oil hair treatment makes the hair-shafts more supple, manageable and compatible with styling. Dabur’s Vatika Olive Hair Oil is enriched with Olive extracts, lemon, almond, and cactus. This superb combination of several essential ingredients nourishes the hair-roots, softens hair-shafts, increases hair-volume, aids dandriff and maintains healthy sebum flow in the scalp. The Sebum oil is naturally secreted by the sebaceous glands of the scalp to keep the hair-follicles active. The most outstanding fact about the Jojoba oil for hair growth is that it is the only natural oil whose molecular composition is akin to the Sebum oil. Therefore, this hair oil is magically accepted by the scalp-tissues and never hamper the natural balance of the scalp. Regular use of this hair growth oil keeps the scalp moist naturally and stimulate the hair growth. 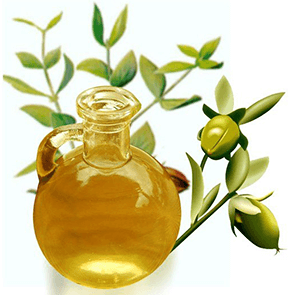 The contribution of Jojoba oil for hair growth is worldwide recognized for its antibacterial properties. This hair oil mollifies the scalp and prevents bacteria, viral or fungal infection, scalp-dryness, dandruff, etc. This hair growth oil keeps the scalp healthy and helps to grow hair faster. Hygral fatigue causes shrinking & swelling of hair and weakens the hair fibers slowly. The Jojoba hair oil prevents hygral fatigue by hydrating the hair-shafts from deep inside. This hair oil bears a composition of 98% monounsaturated fats along with 2% saturated fats. Therefore, this hair growth oil can easily penetrate through the hair-follicles and reinforce the hair-fibers from the deep inside. Jojoba hair oil serves like a natural conditioner that adds suppleness, shine, and elasticity to hair. Moreover, this hair oil makes the hair look denser. Regular massaging Jojoba oil on the scalp can improve the blood circulation and stimulate the scalp-tissues to grow hair faster. Jojoba hair oil is light and non-greasy. This hair growth oil can fill up the cracks on the hair-cuticles and repair the hair damage caused by heating or over-styling. Leven Rose has brought unrefined cold pressed organic Jojoba Hair Oil with a highly affordable price-tag. It is blessed with anti-oxidants and anti-inflammatory ingredients. It soothes the scalp and nourishes the hair follicles. Additionally, this pure Jojoba oil heals skin and nail damage. Sweet almond oil is a great natural source of proteins and hair vitamins, like vitamin-A, vitamin-B, vitamin-D, and vitamin-E. The combination of these elements in this hair growth oil revives the dull and dry hair and turn them into the lustrous and healthy hair. 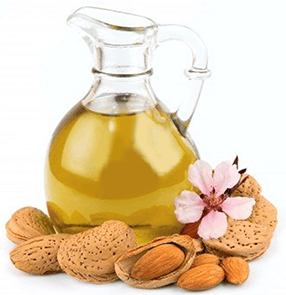 Sweet almond hair oil includes fatty acids including, omega 3, omega 6 and omega 9. These elements form a thin and oily layer upon the hair-shafts that can reflect the UV rays and shield hair from the excess sun-heat. This prevents the hair from dryness and strengthens the hair-roots. This process helps to grow hair faster. Besides the hair vitamins, the Almond Oil includes some essential nutrients, like magnesium, zinc, potassium as well as healthy fats. These elements nourish the hair-shafts and hair-roots. This makes the hair healthy and ensures faster hair growth. The Saturated fatty acids and monounsaturated fatty acids from about 71% of the total fatty acids found in sweet almond hair oil. This hair regrowth oil can penetrate the hair-roots quickly and moisturize the hair-shafts from the inside. It stimulates the hair follicles and grows hair faster. In the Sweet almond hair oil, the combination of hair vitamins, fatty acids, and nutrients makes the hair strong and prevents hair breakage. Sweet almond hair growth oil serves as a sealant layer; as it bears moisture-sealing property naturally. Adequate moisture can revive the hair and reduces split ends and excessive hair-breakage. Moreover, the moisturized scalp can fight against dandruff. Sweet Almond hair oil is light and non-greasy. Therefore, this hair growth oil serves as a perfect base for the mixture of several hair oils. Massage with the sweet almond oil increases blood circulation in the scalp, helps to grow hair faster and reduces hair loss. Essential Depot’s Sweet Almond Oil has acquired positive feedbacks from the consumer’s for it’s superb quality for a reasonable price-tag. This Almond Sweet Oil is hundred percent pure and organic. It works great for moisturizing the scalp and nourishing the hair-roots. This natural Oil is also good for skin care. Castor oil is one of the most common oils used in the kitchen for cooking purpose. 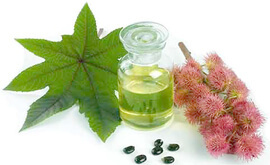 Besides this, castor oil is a great ingredient of cosmetic and hair products. You may be surprised to know the benefits of Castor oil for hair growth. The castor oil includes a great chemical composition of triglyceride fatty acids, including omega-6 fatty acids; vitamins, especially Vit-E; minerals; proteins; etc. These ingredients are highly beneficial for maintaining healthy hair and hair re-growth. Castor oil naturally possesses a laxative effect that prevents the growth of micro-organisms and dandruff in the scalp and keeps the scalp infection-free and healthy. It also prevents scalp-dryness and split ends. Regular usage of castor oil hair can make the hair moisturized, shiny and darker. It is better to apply castor oil to hair at night. At first, an adequate amount of warm castor oil. Then, massage your hair and scalp with an adequate amount of warm castor oil. At next, wrap the head with plastic and go for sleeping. Leave it for 7-8 hours. In the morning wash your hair properly with a good shampoo. Sky Organics made USDA certified 100 percent Natural Castor Oil has got huge popularity among the Castor Oil products available in the market under similar price-range. This cold pressed castor oil is free from Hexane or any other artificial additives. It is enriched with essential fatty acids, vitamins, etc. This castor oil nourishes the scalp and promotes the growth of healthy hair. It is also useful for skin care. Canola hair oil can improve the natural beauty of tresses. It makes the hair-locks moisturized, lustrous, soft, bouncy and smooth. Canola hair oil provides great support to manage and control the frizzy hair. This hair growth oil serves as a natural Humectant that retains moisture in hair and prevents the hair-strands from drying up, which is the main reason for frizzy hair. Canola hair oil is a cheap but enormously effective cure for the limp, broken and damaged hair caused by chemical-based hair products or over hair-styling. This hair growth oil is also a rich source of Sterol that repairs the damaged hair-strands, softens split ends and forms a protective layer/coating over the hair strands. This coating prevents the hair from sun-heat damage, dirt, pollution and environmental impurities. 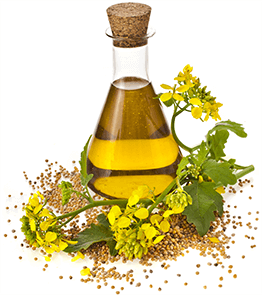 Canola hair oil provides an effective cure for the dandruff problem. It can be used as a natural home remedy to check hair fall and to grow hair faster in a natural way. The Canola hair oil serves as a base in the hair treatments to heal the hair dryness, frizziness, and lackluster hair. Sheer Essence’s Canola Oil is hundred percent pure and organic. This cold pressed oil is produced maintaining therapeutic grade. This undiluted oil can be used as a great carrier oil for the preparation of different hair care as well as skin care products. 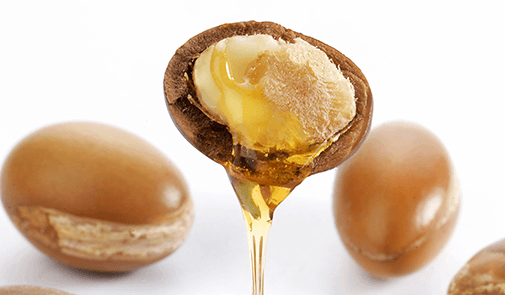 Argan oil bears the high concentration of hair vitamins, especially, vitamin-E. The Vitamin-E contains antioxidants that strengthen the weakened hair-roots and strands. This process boosts up new cell formation, stimulates the hair follicles and helps to grow hair faster. Argan hair oil serves as a natural moisturizer for the scalp and hair. This hair growth oil prevents the scalp from drying and checks dandruff and hair fall issues. Argon hair oil is popular for its non-irritating, but reviving effect on the damaged hair. Argan oil’s vitamin-E can heal the hair-strands damaged by chemical-based hair treatments, products/dyes as well as environmental factors, like sun rays, dust, etc. This hair growth oil can penetrate through the pores of the hair roots, follicles and shafts. Thus, Argan oil can nourish the hair and enhance the elasticity of the hair. This Argan oil contains high concentrations of omega-3 and omega-9 fatty acids that heal the split ends and brittle hair. The hair experts recommend this hair oil for the people who love to change their hairstyles frequently. Because, this hair growth oil not only repair and restore the damaged hair, but also regain the natural shine, smoothness, and luster of the hair. Aria Starr Beauty’s Argan Oil is adored by the salons in the name of ‘White Gold’. This Argan Oil is hundred percent pure and organic. It is enriched with anti-oxidant and anti-frizz properties that can heal the dry, damaged and frizzy hair. This Argan oil features anti-inflammatory and anti-aging properties. You can also use this oil for skin care. Sesame hair oil is a great natural remedy for premature graying of hair. Regular usage of this hair growth oil improves the hair color naturally and makes the hair look darker. Sesame oil has a strong penetration power that eases scalp circulation. Massaging the scalp with this hair oil can improve the tissues, texture, and health of the scalp. This hair growth oil can prevent the dryness, irritation, and tightness of the scalp-tissues in a natural way. Hair dryness is caused by lack of nourishment in the hair follicles. 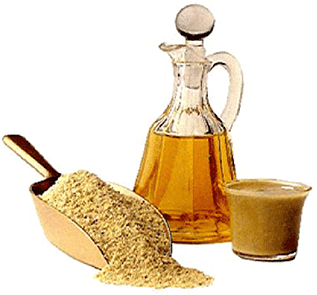 Sesame oil bears a rich composition of protein, several hair vitamins, like Vitamin-E, B complex, etc. and minerals like, phosphorus, magnesium, calcium, etc. These elements nourish the scalp, strengthen the hair roots, stimulates the scalp-tissues and assists to grow hair faster. Sesame oil serves as a natural sunscreen. This hair growth oil forms a protective layer around the hair-strands that prevents the hair from ultraviolet rays. Sesame oil is a rich natural lubricant and conditioner. This hair growth oil softens the rough hair and makes them more manageable. Sesame oil bears soothing and reviving properties. If the hair follicles are damaged badly due to environmental pollutions, chemicals or UV rays, the Sesame hair oil can regain the natural strength of hair health through its healing and lubricating power. Sesame oil has an antifungal and antibacterial effect. This hair oil can protect the hair from lice, dandruff, and other scalp infections. Sesame oil is a natural moisturizer. It retains moisture in the hair and prevents dryness. This indirectly contributes to faster hair growth. This rejuvenating quality of Sesame oil heals the split ends, hair breakage, etc.and checks the hair fall. The sesame oil includes cooling properties naturally that relieve stress that often causes hair loss. Many companies produce Sesame Oil. We recommend Banyan Botanicals made Sesame Oil for it’s standard quality and affordable price-tag. This unrefined Sesame oil is rich in Omega-6 fatty acids. It also bears nourishing and antioxidant properties. This sesame oil is applied on the hair as a massage oil before and/or after taking bath. What is more? this Sesame Oil is used for skin care and oral care. Safflower oil is a great natural source of polyunsaturated fats. This hair growth oil is a combination of about 77% of Linoleic acid that includes omega-6 essential fatty acids (EFAs); about 13% of oleic acid, including, monosaturated omega-9s and about 10% of saturated fats. This hair oil is also a rich source of phytosterol, alpha-tocopherol, and vitamin E. These elements can nourish the hair properly and helps to grow hair faster. The Safflower oil is a natural cure for baldness and hair loss. This Oleic acid makes this hair oil light and carminative; therefore, Safflower oil penetrates through the scalp-tissues and dilates the blood vessels can easily. Thus, it nourishes the scalp through the blood circulation, stimulates the hair follicles and helps to grow hair faster. This hair growth oil bears a high concentration of linoleic The polyunsaturated fatty acids enables the Safflower oil to heal the dry, chemical-stricken, color-treated or overstyled hair. Especially, during the winter, Safflower hair oil keeps the hair healthy. Naturally, the healthy hair contains about 10% of moisture in the hair-roots and hair-strands and the scalp produces some natural oils. However, when the hair exceeds neckline, it requires more moisture and nourishment to keep the hair-cells healthy and lustrous. Therefore, to retain moisture in the hair and nourish the hair-follicles properly, an EFA enriched moisturizer can do a great job. Safflower hair growth oil is one of the best and cost-effective solutions for dry hair. Life-Flo’s Pure Safflower Oil is a highly affordable hair oil product. This hair oil is naturally enriched with linoleic acid and oleic acid. You can directly apply this pure safflower oil to the hair as an organic moisturizer. You can also use it as a carrier oil with other hair care products. This hair oil is free from harsh chemicals, artificial fragrance, color, etc. Besides these, this Safflower Oil offers great use for skin care. Sunflower oil bears a great combination of hair vitamins, like the vitamin-A, vitamin-B, vitamin-C & vitamin-E; and minerals like iron, calcium, potassium, etc. The high concentrations of fatty acids, antioxidants and essential nutrients in the sunflower hair oil can nourish the hair and stimulate faster hair growth. The Vitamin-E concentration of the sunflower oil makes it a great moisturizer. Moreover, this hair growth oil is highly soluble due to its light-weight nature. Therefore, massaging this hair oil on the scalp can easily hydrate the hair strands, penetrate through the scalp-tissues and nourish the hair from inside. This process can contribute significantly to grow hair faster. Sunflower oil serves as a natural emollient that thickens, lubricates and softens the hair. Moreover, the emollient property of this hair oil prevents water loss from the hair. Sunflower oil is a rich natural source of omega-6 fatty acids with a high concentration of gamma-linolenic These elements are effective natural remedies for preventing hair fall, baldness (both male & female pattern) and alopecia areata that creates patches of baldness. Sunflower oil is a good natural hair conditioner. It’s deep conditioning property makes the hair smoother, stronger, lustrous and healthier. This hair growth oil can condition the greasy hair also. Ultraviolet (UV) rays can damage both of the hair-cells and scalp. 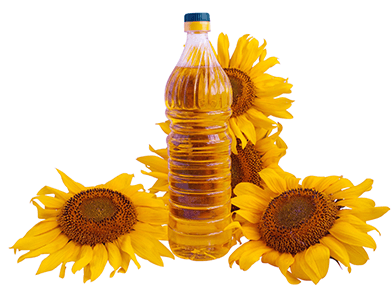 The Antioxidant properties in Sunflower oil can hunt the free radicals of the UV rays and save the hair from damage. Maple Holistics made 100 percent organic Sunflower Seed Oil is rich in several fatty acids along with essential vitamins like B1, B3, B6, E, etc. This hair oil moisturizes the scalp and nourishes the hair roots. It’s anti-aging effect instigates hair re-growth. Furthermore, this pure Sunflower hair oil makes the hair shiny and strong. This oil is also used for skin-care. Rosemary oil bears a minty-balsamic aroma. The main properties of Rosemary oil for hair growth include stimulant, astringent, antiseptic, vasodilative, digestive, restorative, analgesic, antioxidant, tonic and antimicrobial. Therefore, this Rosemary hair oil provides a comprehensive solution for any hair problem. Premature hair-aging results in dull gray hair along with a flaky scalp. 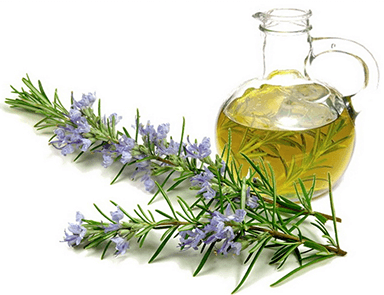 Rosemary oil can promote the pigmentation process inside the hair and delay the hair-graying process. Moreover, this hair growth oil restores the gray hair into black naturally. Dry hair results into flaky scalp. Rosemary oil is a great natural remedy for these issues. This hair oil hydrates the scalp, improves blood flow, removes the flakes and nourishes the hair-cells as well as scalp-tissues. These actions grow hair faster. Dandruff is caused by yeast and requires anti-fungal treatment. The hair experts recommend Anti-inflammatory hair growth oil in dandruff treatment to heal the chronic inflammation in the scalp. Rosemary oil’s component Rosmarinic acid is widely used in the scalp treatments for its antifungal, antimicrobial, antibacterial, antioxidant and anti-inflammatory properties. The Rosemary oil bears disinfecting & detoxifying attributes that remove the clogged bacteria from the hair follicles and assists to grow hair faster in a natural way. This hair growth oil can rejuvenate the dull hair and revives the luster and bounce of naturally healthy hair. Moreover, Rosemary oil can reduce the active causes of hair thinning and baldness. 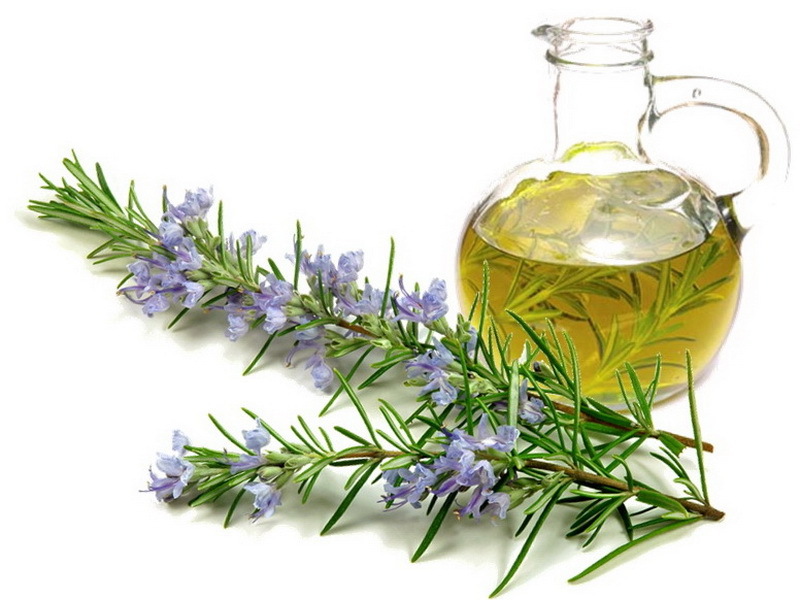 The Rosemary oil can stimulate hair growth by preventing hair loss. It’s stimulating, reviving and calming properties help to gain longer stronger and healthier hair. 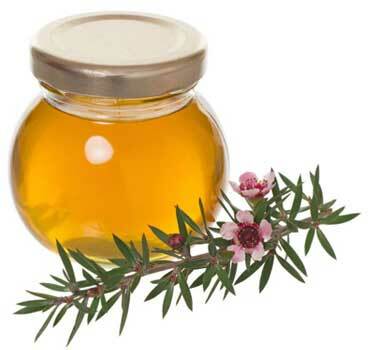 If you are currently suffering from severe hair-loss issue, try Maple Holistics made Rosemary hair. This oil is 100% organic and free from any kind of additive or chemicals. It’s therapeutic power features DHT blocker that revitalizes hair growth, nourishes hair-roots, stops hair-fall and adds luster to the hair. This oil works as an elixir for the treatment of wrinkles. Lavender oil can treat alopecia areata, a condition that leads to excessive hair fall or patches or baldness. Lavender oil for hair is often recommended by the hair experts to prevent these diseases, especially male baldness. Regular scalp massage using the lavender oil can ensure hair re-growth within a short period. Hair loss is often caused by psychological states, like anxiety, depression, and stress. Lavender oil can cure insomnia by assisting in sound sleep through its sedative and relaxing properties. The mollifying effect of Lavender oil relieves stress. This hair growth oil serves as a natural remedy for many ailments, like insomnia, anxiety, and depression. This can reduce the hair-loss problem. Lavender oil can cure the itchy scalp, hair lice, and dandruff. 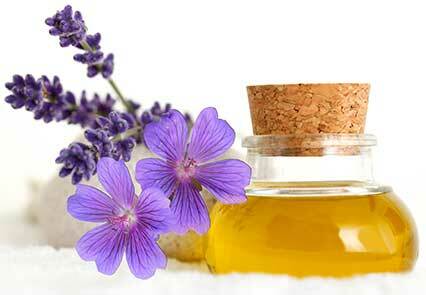 Lice and lice eggs/nits cannot bear the smell of natural lavender oil. Moreover, this hair growth oil has powerful antiseptic and disinfecting properties that can treat the dry scalp and remove fungi, viruses, lice and the other microbes from the hair. The aromatherapy using Lavender oil can improve the blood circulation in the scalp that stimulates the scalp-tissues and contributes growing hair faster. When Lavender oil is massaged on the hair and scalp, it hydrates the scalp and moisturizes the hair. Thus, hair oil supplies proper nourishment to the hair follicles and makes the hair healthy and lively from the inner side. If you are frequently experiencing problems with sleep don’t miss the Lavender Oil made by Maple Holistics. This hundred percent pure Lavender Oil is free from any kind of chemical additive. This organic oil is naturally blessed with anti-oxidants, vitamins, etc. Moreover, it’s therapeutic power serves as a hypoallergenic moisturizer that can heal the itching scalps and skin. This Lavender oil makes the hair less frizzy and healthy. In the above sections, we have discussed the best natural oils for hair growth. You can pick up hair oil from the list according to the current status of your hair. Moreover, you can consider the specific benefits of these natural hair oils to treat the specific hair types. However, you need to treat your hair with hair growth oil on a regular basis to find the optimum result.